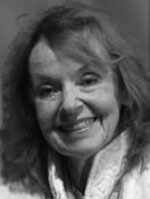 Janet Waldo is best known for cartoon voices like Judy Jetson, Penelope Pitstop, and Josie McCoy of Josie and the Pussycats. 10/01/1974 0155 The Bride that Wasn't A young lady travels to the house of her betrothed to meet him and his mother. She is stunned to find that no one in their house recognizes her - not even the man who asked for her hand two weeks back.